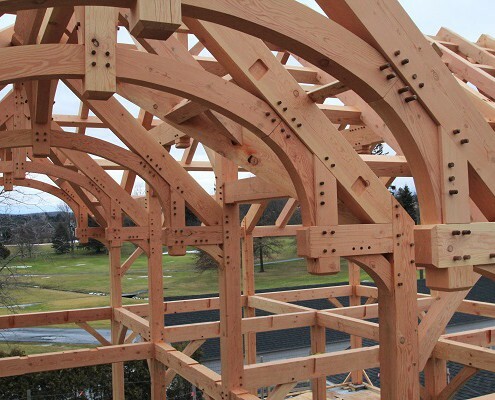 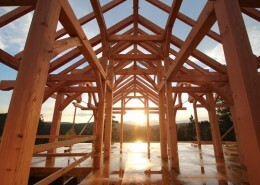 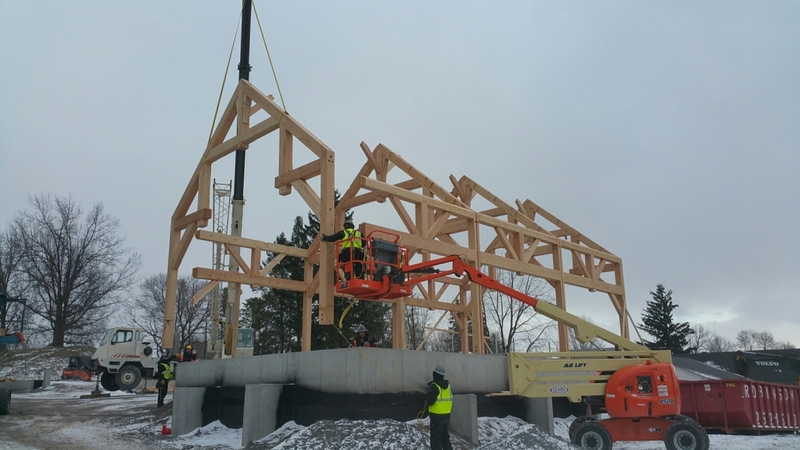 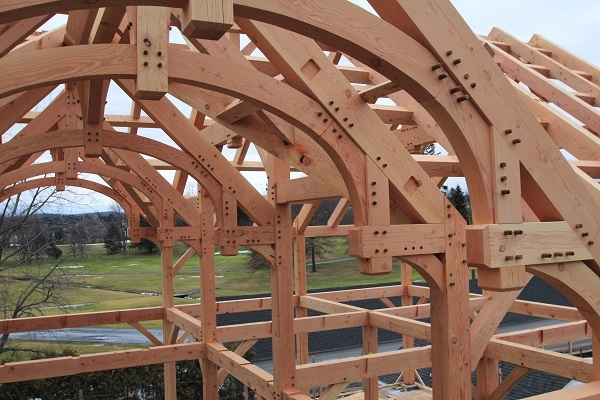 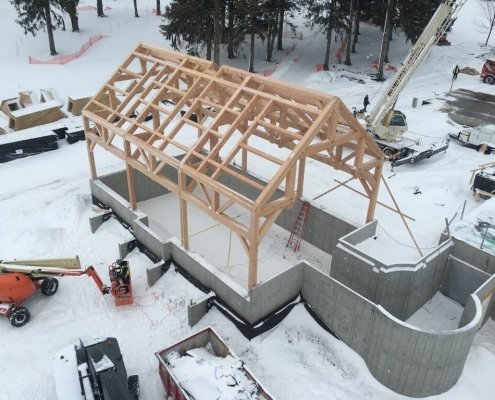 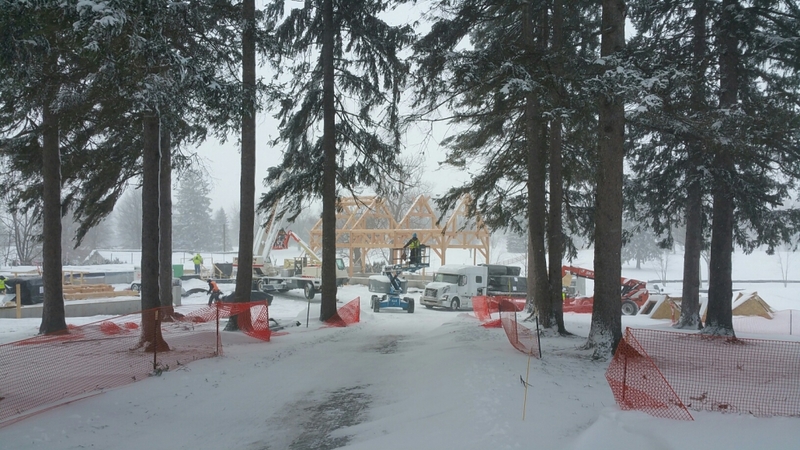 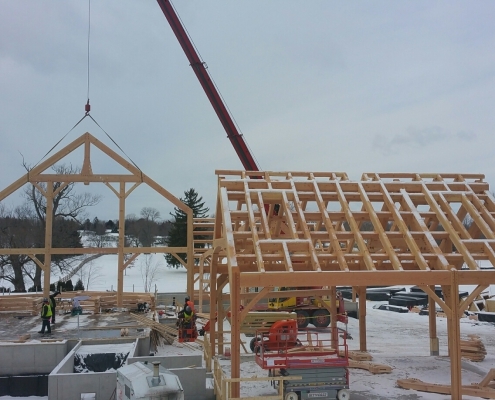 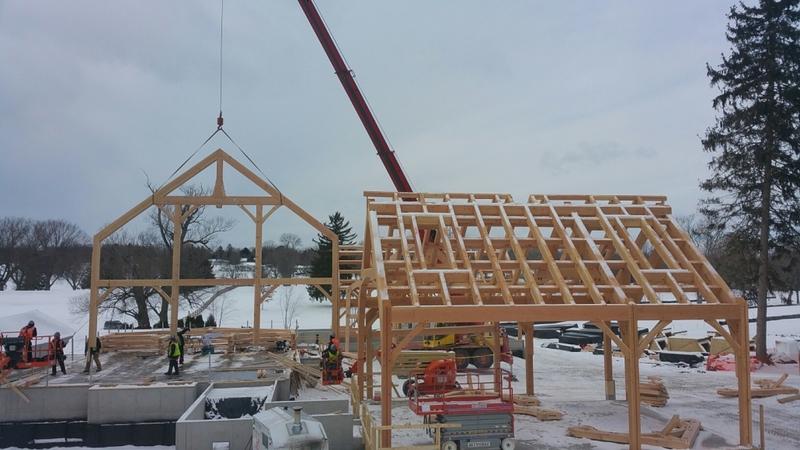 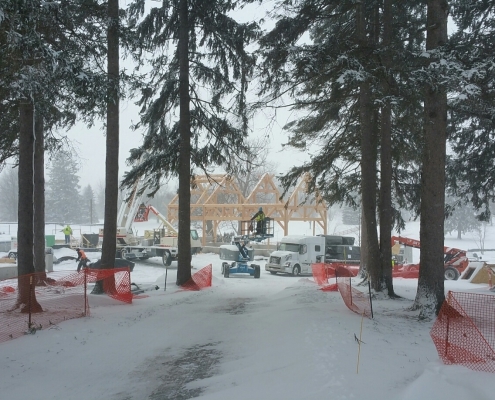 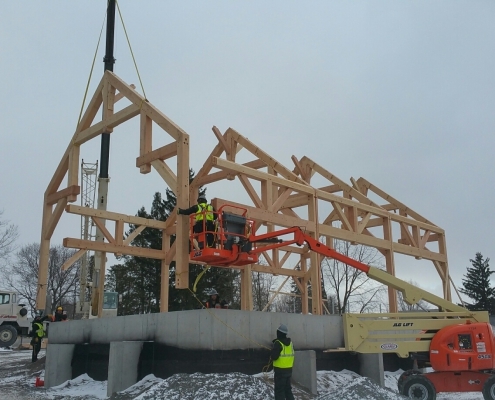 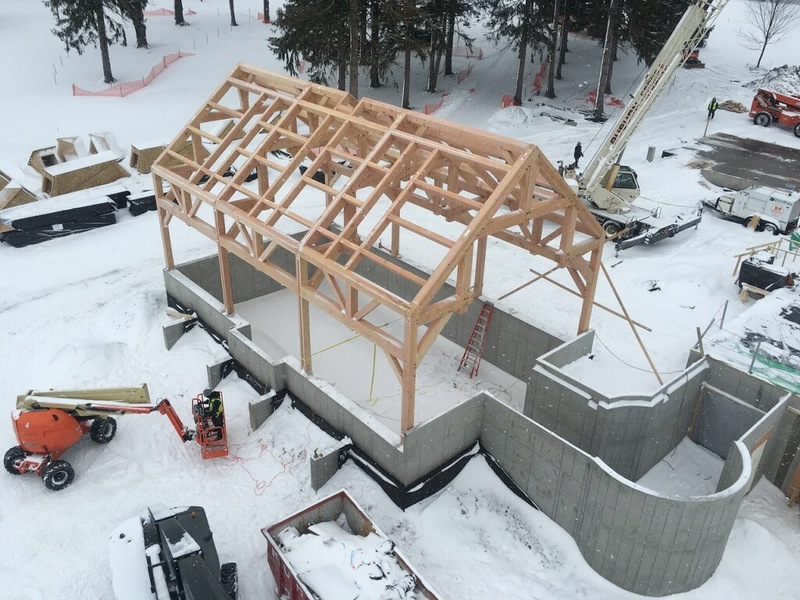 In January, our nine-man installation crew traveled to a picturesque job site overlooking Skaneateles Lake in Upstate New York to erect three timber frame barns. 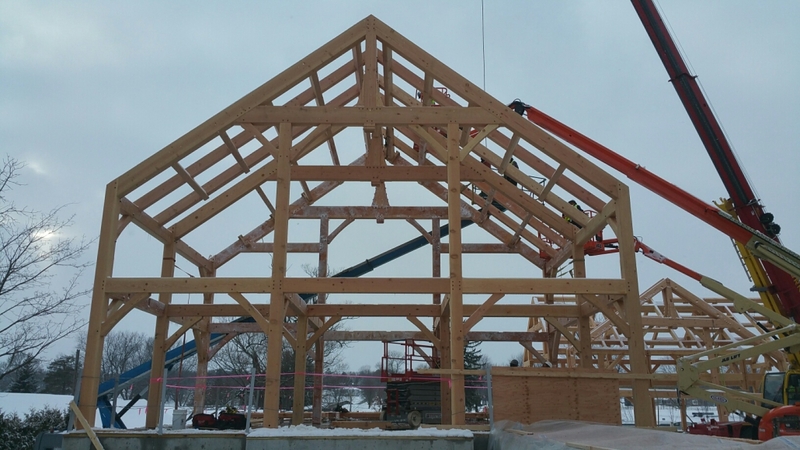 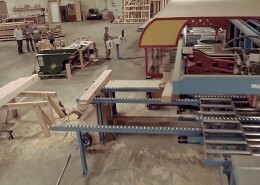 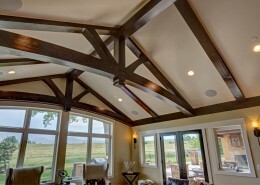 Each barn was thoughtfully designed to incorporate ornate braces and corbels with Georgian trim details to match the traditional New England style architecture in the surrounding area. 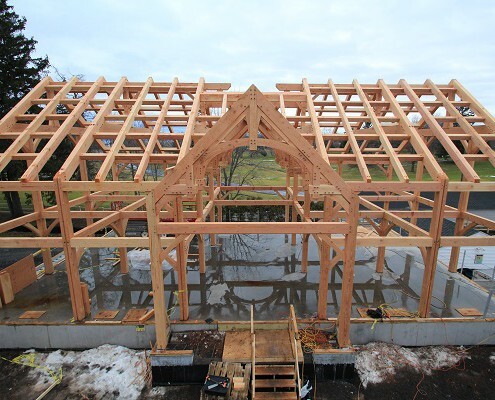 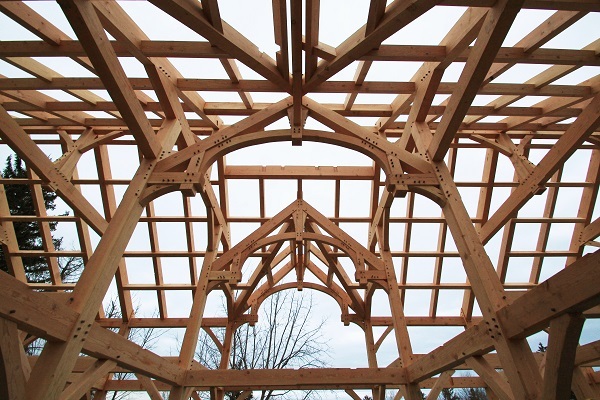 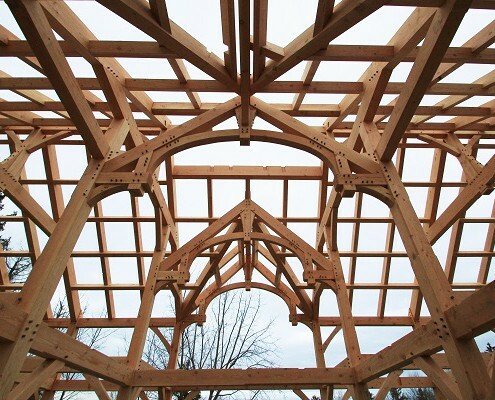 The architect behind the project collaborated with our in-house timber frame designers to create a flair of individuality for each barn seeing that they will each serve a different purpose. 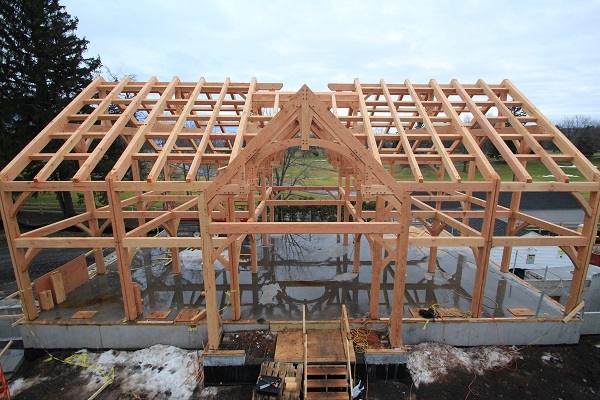 The East barn will be used as a space for gardening and pottery while the West barn will be primarily used as an indoor basketball court and gym. 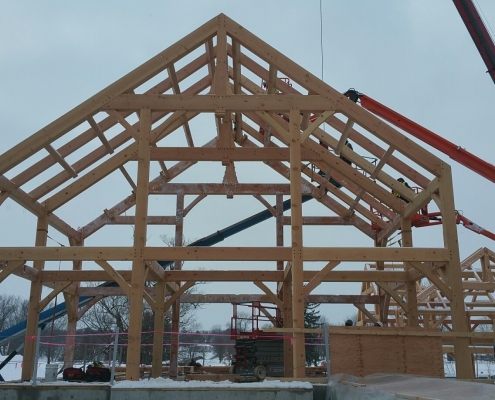 The main barn, which is the largest of the three and has unofficially been named the “party barn”, will be used solely for entertainment. 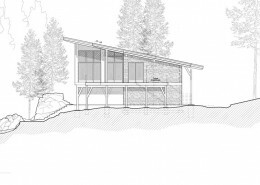 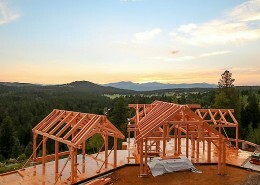 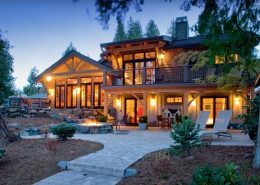 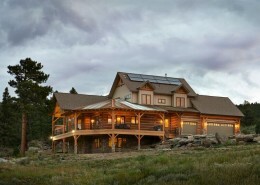 The homeowners plan to host parties, fundraisers, and even weddings here in the future.